Well, according to my mom, when I was five I used to painstakingly make books out of typing/copier paper, writing the stories in pencil and illustrating them as well. I don’t remember much of that, but I do know I’ve been an avid storyteller for a long time. As a kid, “pretend” was my favorite game; I remember spending hours making up elaborate plots and characters to populate my play-world. I didn’t start writing right away though. I got terribly frustrated and gave it up because it never turned out the way I envisioned it. I pursued music instead–coming from a musical family, it was easier to express myself through an instrument than anything else. I continued to dream though. Tried writing again. Gave it up. I did that several times. It wasn’t until I took a creative writing class as an elective in college that I ‘found’ the key to unlock my skills, so to speak. I found I could write something, finish it, and that it turned out much closer to my original vision. From that moment on, I was hooked! I thank my professor every day for the help she gave me, and for the encouragement to pursue writing as a career. What type of books did you read as a child? Were you a precocious reader? Oh, I read practically everything I could get my hands on. My preferred genre was speculative fiction though, sci-fi and fantasy. I’d read six books a week if I could get my hands on them. I was always friends with the local librarian. She challenged me to read more, read harder books. I think I often surprised her with my reading material. When did your fascination with horror and the paranormal begin? Well, my fascination with the paranormal began in high school. As a dreamer, I’m always wondering what is beyond, both physically–like alien worlds–but also mentally/spiritually. I think it was my exposure to Poe in eighth grade. The way he depicted the shadowy elements of our existence, the mirrored landscape. It intrigued me. Still does. What dark and murky things lie within the recesses of the mind, hmm? Of course, I do have my limits. I can’t stand slasher-type, bloodbath horror. I get nauseous! A little bit of gore, well, I can deal with that–I’m a rancher’s wife and an avid sportsman, I see that sort of stuff often enough. But the horror that’s over the top, well…. That’s another story. It does make it interesting as a writer, however. Sometimes my characters demand I deal with the sorts of things I have a hard time dealing with personally. But then again, when I’m writing, it’s a little different. I’m detached. My character is the one talking, I just have to grit my teeth and scribe. Tell us a little about your short story, “Darkness Cornered,” and where it is available for purchase. “Darkness Cornered” is the story of a man and a woman who are different but who have found common ground in their feelings for one another. It’s also the story of a man cornered by his traits–in this case, mutation. He has to find a way around himself, essentially, in order to confront the prejudice, the single-minded crimes being committed in the name of science. 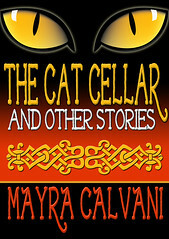 It’s currently available through Fictionwise (http://www.fictionwise.com/), strangely, under the mystery/crime heading. Then again, Lear is a detective, and he is dealing with crime…. Ok, maybe it isn’t so strange. Anyhow, the story runs about $2.00, less if you’re a fictionwise club member. You also have a fantasy novella coming up soon. Tell us a bit about that. It’s called “Prophet’s Choice,” and tells the story of a girl caught in the middle of a war-torn country. She has certain abilities that make the leaders of her country think she is one of their legendary Prophets–a savior figure. She doesn’t think she is–her abilities drain her strength whenever she uses them. In all, it’s a story that questions belief, faith, and the deeds people do in times of desperate measures. I worked on “Prophet’s Choice” on and off for about three years. It started out as a novel, but I felt the novella form suited its nature much better. The shorter form gave it some pop, and I’m pleased with the result. Do you outline your stories beforehand, or are you more of a stream-of-consciousness writer? It really depends on the story. Some of them, usually my longer ones, demand an outline. My current project, another fantasy novella, insisted I outline. “Prophet’s Choice,” however, did not. It really depends. What author(s) do you admire in the horror genre? Why? Do you think some famous horror authors out there are overrated? In the horror genre, definitely Edgar Allan Poe and Stephen King. Both have completely mastered the art of suspense, of telling the reader just what they need to know and when. The art of withholding information until the crucial point. Yep, they’ve got it. It’s a balancing act. As for authors that are overrated, I think that’s just part of the business. If the “right” people like your stuff, you’re going to get a lot of hype, regardless if your craft is down, or not, or whether the general public is really impressed. Then, of course, you’ve got different kinds of readers out there too. You’ve got the ones who are looking for a romp, those who are looking for some deep, literary thing, those who are looking for escapism. Then there are those who are looking for craft pointers, those who are looking to be critics. It really depends on who you’re talking to. What goes on in the mind of a horror author as opposed, let’s say, to a romance author? Well, if you’re going by the stereotypical romance book, I’d say that your average, run-of-the-mill romance author doesn’t take into account action. Rather, don’t go looking for a realistic fight sequence in a romance book (then again, why would you? The focus of the reader is different). Romance writers focus more on the relationship between their main characters. That’s their focus. A horror writer, fantasy writer, suspense, what-have-you, are focused more on details. If that gun only holds eight bullets, you can’t have your man shooting and shooting and shooting without reloading. Objects have significance. If they appear in the story early on, there’s a reason behind it. That sort of thing. Other types of genre writers take the nitty gritty details into account. That’s how they craft complex stories. I understand you’re also an accomplished musician since you were a little girl. Do you still play music? Do you use music as a tool to unleash your creativity? Any particular piece you listened to while writing your horror story, “Darkness Cornered”? Yes, I still play music although not on as regular a basis as I once did. At the moment, I’m taking a break. I pushed it real hard when I got my minor in Music–the same time as my English degree–and I’m just relaxing, playing for fun when I feel like it. As for using music as a tool, yes! I can’t function without music. Music helps me write, it helps me think. Sometimes it even helps me connect with my characters. When I wrote “Darkness Cornered,” I listened to a lot of Coldplay, “Parachutes” and “A Rush of Blood to the Head.” Their music is very fluid, very lyrical. It’s easy to concentrate to, the lyrics aren’t overpowering. Do you have a blog or a website where readers may learn more about you and your work? Yes. My website is located at: http://catharsys.wordpress.com/ It’s a blog/portfolio. I encourage discussion! I love comments and e-mail. (smiles) Please, don’t be shy–stop on by and say hello. Welcome to The Dark Phantom Review! It’s nice to have you here. Thanks for having me as your guest. I’m honored. “Excited Light” is about a little boy who has to endure living with a mother who’s an alcoholic. The father is long gone and the boy, Alex, often spends his nights alone when his mother is late coming home. He talks to his toy duck, Dudley. One night, Dudley answers him and Alex gets divine guidance. Alex has some adult friends who watch over him and try to stop his mother’s drinking. She gets into a horrible romance that ends up with her in the hospital near death, and it’s Alex and Dudley who attempt to work a miracle. What inspired me? Well, I had an angel experience of my own long ago. I have never forgotten it. This one came pouring out of me. I never outline. I worked as a journalist for more than 20 years and journalists don’t outline—so the whole idea seemed absurd to me. I spend a lot of time thinking and then it all comes out in one fell swoop. This novel took me nine months to write, but I spent a lot more time going over it and revising . Frankly, you are never done, but there has to come a time when you say “enough.” It’s not stream of consciousness if you are talking about that writing style. It’s the standard third-person, past tense. I did do a lot of mental plotting. However, I do allow those little moments of surprise to happen when the story turns in a different direction or a character begins acting in a way I hadn’t anticipated. Never had it. I had to write every day no matter what when I was at the newspaper, so I take same attitude toward fiction. It’s the Nike school of writing: Just do it! This book was shopped by an agent in New York . All the publishers turned it down because “the angel fad was over.” I still believed in the novel, dusted it off, revised it again and self-published it via the American Society of Journalists and Authors and their arrangement with iUniverse. It’s professionally edited and proofed. Plus that ASJA Press imprimatur means something. ASJA is pretty picky about who gets to be a member. My advice about getting a publisher is to get a good agent first. I have a new one and he’s working right now, shopping another novel I wrote. My only regret is that I didn’t take the time to investigate more small, independent publishers for “Excited Light.” Although iUniverse has been great, there are limited things you can do with a self-published novel. I’d like to say the Web, but I have had my best success in personal approaches. When the book first came out I sent e-mail to everyone I knew in the world and told them to buy the book on a certain day. On that day I got to number 515 on Amazon.com. When I can get over my nervousness, I also have success in selling just by asking people. I sold three copies in the locker room at my tennis club, which was a big surprise to me! That is nearly impossible to answer. I read so much—a book a week, usually. Alice Hoffman’s “Practical Magic” was the one book that told me it was time to write my own novel. I love Hoffman and really adore her magical style. She pulls it all together in this wonderful, quirky novel. My website is www.lynnvoedisch.com and my blog is www.xanga.com/bastetmax. I hope to tie the two together soon. I’m working on a fascinating project about a certain class of women of Egypt who had roles second only to the Pharaoh in power. I’m doing a story on one of these women and alternating it with a contemporary story. It’s pretty complicated to explain, but my wonderful writers’ group encourages me to continue. I do know the ending—I’m just not sure how I’m gong to get there! But I will. I’m very tenacious. Don’t despair. Calm down. I’ve been there and know perfectly well what you’re going through. Before you plan a schedule, putting your mind in the right frame is the most important think you’ll do. Remember your kids will not stay small forever. Time passes quickly (I assure you it does!) and soon they’ll be old enough to go to school. Until that magical day arrives, though, you’ll have to “steal” time to work on your project. Wanting to finish a whole novel in one month at this point in your life is unrealistic. Don’t focus so much on the “end product” but on doing a little bit of that “end product” at a time. Little paragraphs are what articles, stories and novels are made of. The important thing is steady progress, and as long as you take steps to fulfil the road, you’re on the right track. These tiny bird steps, however small, will give you a sense of accomplishment and keep you guilt-free to enjoy your life and family. You might think, “Good physical condition? I thought this was an article about writing.” Well, you’ll bet it is. Let’s face it, moms who care for small children are always tired. And tired people don’t’ particularly like to sit at the computer and write; they want to collapse on a bed. Moms urgently need to raise their energy levels! A good diet and a little exercise can do wonders to raise energy levels. Eat high-protein foods and lots of fruits and veggies. Stay away from white flour and sugar, as well as junk food. Go for three meals a day with one light healthy snack in the afternoon and one before you go to bed. Stay away from those high energy bars, though. They are so high in carbs your sugar levels will sky rocket and then pummel down, making you feel even more tired and hungry than before. Low fat cottage cheese and a couple of almonds, with a bit of fruit are a great choice for a snack. Drink plenty of water! Scientists have found that dehydration is one of the main factors in making a person feel tired. Finding time to exercise may be difficult, that’s why it’s a good idea to do it with your child. If you have a stationary bicycle or other exercise machine, do 15 minutes while the toddler watches the Teletubbies. You don’t have to exercise a full hour. Even 10 minutes will do the trick. Take your baby for a walk in the stroller at least 3 times a week, preferably in the mornings when it’s fresh and quiet. It will calm your nerves, rejuvenate and even inspire you. Your baby will love it, too. Not only will he/she enjoy the “sights and sounds,” but it will probably make him/her tired and eager to take a longer nap later in the day—just what you’re after! Okay, so you have the right state of mind and are eating well and exercising. What next? A well-planned schedule that fits your lifestyle and plays around your strengths and liabilities is a must. But keep an open mind and don’t be unrealistic. If your baby naps in the afternoon, don’t set your writing time in the mornings, or vice versa. How much time each writing session will last depends on your lifestyle and children’s habits. You may choose to write half an hour each day or one hour every other day. It’s up to you. The important thing here is to keep it approachable and to stick with it. There’s one thing I strongly advice: If you can manage it, don’t take more than two nights off from your project. Not only will it stall your momentum, but it will give your brain to much time to come up with self-doubts and excuses for procrastination. You may be asking yourself: But how do I get rid of my children!? Write early in the morning before your children awake, during their daytime naps and after they go to sleep at night. (See why you have to keep yourself in good physical condition?) I have a friend who wrote two books this way. If you can afford a babysitter—maybe your neighbour’s teenaged daughter—to look after your child while you write on the next room (that way you can keep a close eye on them) then go for it! Write while your toddler watches his favourite video movie. He wants to watch it again? Go ahead! This is not the right time to consider the effects of too much TV on children. Go to the local library and write while your child listens to Story Time! Almost all libraries, and even bookstores, schedule story times for children. Take advantage of these. If you have a writer friend who is also a mom, enlist her as your “writing partner,” take the kids to Mc Donald’s and write while your kids play in those weird game tunnels. “Hey, wait a minute!” you think. “You said to stay away from junk food.” Nice try, but even McDonald’s now offers a good selection of salads and fruit cocktails. Besides, I never said one hamburger once in a while will kill you. You might even reward yourself with a hamburger… AFTER you’ve fulfilled your minimum writing quota for that day. Invite your writing-partner mom or moms for a “writing morning” at your home and write while your children play together. You may take turns with your homes. Also, as a group, you can consider hiring a sitter for these occasions. Writing with a support-group of people who are in the same situation as yourself is usually very rewarding and productive. Plus it’s a lot cheaper when each of you contribute to pay for the sitter. You may even want to start a club and meet once a week. None of the above will prove helpful if you lack the determination to stick to a schedule. Think about it. Do you want to reach the age of seventy without having accomplished your goal—that masterpiece of a novel that will land you multiple contracts, fame and fortune? You’ll never know unless you take the first step. Family, and especially your children, should always come first, BUT don’t use your children as an excuse not to write. The truth is, life is so hectic there NEVER will be a “perfect” time to write. I assure you, if not children, later you’ll come up with something else as your procrastinator. It may be difficult to follow the schedule at first, and you may need to modify it, but eventually you’ll be glad you did. Otherwise you’ll live with self-guilt, self-loathing, disappointment and frustration. Do it. Start today. Now. Don’t forget: Frustrated writers are frustrated moms. Frustrated moms are unhappy moms. Artistically fulfilled moms are happy moms who can give themselves to their loved ones without reservations. 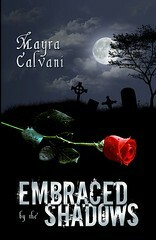 Mayra Calvani is an author and book reviewer. Welcome to The Dark Phantom Review, Lea. It’s nice to have you here. Why don’t you start by telling our readers what an online conference is? The Muse Online Writers Conference is an opportunity for writers to meet, mingle, and network with some of the professionals in the publishing industry. It’s an area where you don’t have to worry what you’re going to wear, travel and hotel expenses, or who will mind the children while you’re away. You wake up, open up your computer and the fun begins. 3-	Have some sort of a disability preventing me from attending one. I thought how unfair this was to have so many writers miss an opportunity to meet some of these publishing professionals. So, along with my co-sponsor Carolyn Howard-Johnson (the promo Queen), decided to set up our own online conference to attract every writer from around the world and offer them a networking opportunity. How many years has The Muse Online Writer’s Conference been taking place? This year will be our second year. Last year we had close to 1300 attending from around the world: Canada, United States, Mexico, London, Ireland, New Zealand, Greenland, Italy, Africa, Greece, Taiwan, Australia, China, and many other places I can’t remember right now. Let’s say I want to participate, what do I need to do? Is it free? What can I expect to get out of it? http://www.freewebs.com/themuseonlinewritersconference. There you will see our Registration page but also the Presenters webpages to get an idea who will be attending this year and what their workshops will be all about. This list is not complete…I have many more to put up there but so little time. You asked what a writer will gain from it? We’ve already established the mingling and networking aspect but they will get to attend workshops that can cost a hundred dollars and more in a real ‘face to face’ conference. You will get a whole week to pose questions to our Presenters in our private forum, get a chance to meet them in an hour-long real time workshop. Last year we had several attendees lucky enough to receive contracts by some of the publishers who attended as Presenters. REAL TIME CHAT WORKSHOPS and our VIRTUAL CONFERENCE HALL, which will be hosted in a private writer’s forum. The only writers who can attend and receive an invite to this forum are those that register before August 1st, 2007. Along with the workshops, most Presenters will offer their workshop handouts to keep, read and prepare your questions for them. Most of these handouts are fully fleshed out as lesson plans. So as you can see in this case it’s not ‘you get what you pay for’ but quite the opposite. Our presenters give and give and offer their time in order to help out fellow writers. How many people are you expecting to attend this year? I took a look at last year’s figures around this time and I had about 330 already registered and as we approached the deadline, more and more hopped on. As of today, we have over 500 registered, which gives me the impression we’re looking at close to 2000 if not more. I understand you’re also an author and book reviewer. Tell us a little about your book, The Muse on Writing. Have you written other books? My first published book was the young adult fantasy/adventure The Rock of Realm, published by Star Publish. It’s about a young teenager who discovers she’s the princess…to another realm. Mysteriously, she ends up with her friend and pets in Dread’s Forest, just outside Rock Kingdom, and end up in one adventure after another trying to elude capture by Dread himself. Throughout the book there is one repeated saying, “All is not what it appears to be.” And there’s a BIG reason for this. But you’ll have to read to find out what the reason is. My newest release, Doorman’s Creek, a paranormal suspense/thriller was published this year by eTreasures. By the way, all of the books above come in print and ebooks. Doorman’s Creek follows three teenaged boys who discover a cave, a skeleton…and an unknown entity that pushes them into the path of a serial killer. After the discovery, Kyle Anderson begins to have visions of past and present murders and needs to find out who is responsible before another family member gets killed. Would you like to share with our readers any of your current or future projects? Gifted: Cursed? (tentative title): what would you do if you had the power to grant wishes to those in dire need only to have something taken from your own family? Would you grant them their wish? This is exactly the dilemma my young heroine faces when she is given this gift after her mother falls into a coma saving the life of her daughter’s best friend. Now, against her father’s orders, she needs to travel to Greece and find the one person who can shed some light on what will happen if she dares to grant her own wish to help her mother out of this coma. Copy: A once obnoxiously obese high schooler turned into a glamorous and famous award-winning writer gets an invitation to attend her 20th high school reunion. A nagging dream about a friend who committed suicide during high school begins to eat away at her. Her intuition tells her this wasn’t a suicide. All fingers point to one person…the boy she had a huge crush on. Many twists and turns with some interesting characters. Zylorp: The Brothers Three: a sci-fi/fantasy about one alien warrior and hero to his people who discovers the war he’s been fighting for his people had a secret agenda. One wrong retaliation on his part and he now faces the death penalty. The only person who can save him is the girl he’s in love with, a Mylantian empath. But will he allow her? Amongst other books I also have the second novel to The Rock of Realm, continuing the adventures of my character and friends. You also have a review site. Would you tell our readers a bit about it? The Muse Book Reviews caters to all writers, regardless of where or how they’ve been published. There are several reviewers who cater to different genres. All of our reviews are honest and no sugar-coating attached to them. We’ve streamlined the guidelines a bit: any writer wishing a review can contact the appropriate reviewer themselves now instead of me being the middle man. Also, we conduct chats and interviews with some of these authors in order to help promote them further. What types of books do you consider? Almost all types of books other than pornographic novels. We accept children’s, romance, sci-fi/fantasy, literary fiction, mystery, nonfiction, dark fiction/horror. What would I need to do in order to have you review my book? As I wrote above, if you link here: http://themusebookreviews.tripod.com/ you’ll read our guidelines and what we need, plus you’ll see which reviewer is available for what genre. If you contact one reviewer and they are filled to capacity with books to read, then you are welcome to contact another one under that category. We try to have a review within a two-month limit but seeing how we’ve been swamped lately, more like three months to be on the safe side. Online reviewers and bloggers have received a lot of attention lately. Reviewers from print publications have accused them of not being critical enough, of not being “legitimate” reviewers. What’s your stance on this? Do you think there’s a lot of facile praise on online review sites and blogs? 1-reviewers from print publications accusing online reviewers of not being critical to me brings the same sense of discrimination when I hear “You’re not a ‘real’ writer because you self-published.” I won’t say anything more on this. We are legitimate reviewers since we take the same care to read objectively a novel and offer our own opinion, the way they do, in areas we find in the book that are good but also in need of some work. Anyone who requests a review knows they are taking a chance with the review not going their way. 2- As for facile praise on online reviews: yes, I do believe, unfortunately, and I may be bombarded with emails on this, but many ‘friends’ read other writers books and in order to give them the confidence and boost to promote their books, they are not really objective but more ‘caring not to hurt someone’s feelings’. Once you commit to being a reviewer, you need to knock out friendship and take this position seriously and comment truthfully or else you will not be looked at seriously. A proper review is not meant to bash a writer but to offer the good and bad points found in the novel in a diplomatic way. It’s easy to write “Was this writer awake when he wrote this?” but how helpful is this to a reader but, more importantly, to the writer? A review, to me, is to offer the reader the ‘what you’re going to find in the book’ info, and to the writer, ‘in your next book you should watch out for ???’. 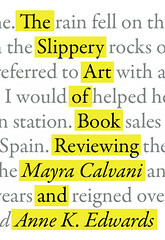 Reviews are almost like an editor’s note- you need to read in-between the line. Do you have a website and/or blog where readers may find more about you and your work? In my site you’ll also find my Editing Services webpage. The Writing Jungle – http://thewritingjungle.blogspot.com where I host interviews, blog tours, offer publication links and more. I want to take this opportunity and thank you for conducting this interview. I had a blast. From Book to Bestseller, written by book publicist and media relations specialist Penny Sansevieri, is an amalgam of useful information and a must-buy for authors who are serious about marketing and promoting their books practically and efficiently. In her friendly, engaging, yet no-nonsense writing style, Sansevieri shares the secrets of successful book marketing based on her own personal experience as the author of an Amazon bestseller, as well as her experience working with other authors and the media, including her work as instructor for the popular “Get Published Today!” workshops. Everything from how to handle book signings and pitch to the media, preparing media kits, creating a marketing campaign, getting into catalogs and book clubs, developing spin-off products, branding yourself as an expert can be found between these pages, and more. Sansevieri includes lots of links and resources, making it easy for the author to begin marketing a book right away. The book is well structured, clear, and easy to navigate. Besides its practicality, it is written in a very ‘personal’ style, giving the reader the feeling that she is chatting with a publicist. So have your highlighter and Post-its ready, as this is a book to be dissected and kept on the desk at all times. Highly recommended. Whale Song is a beautifully written novel that deals with a controversial subject and combines elements of myth, legend, and family drama. The story begins when thirteen-year old Sarah Richardson moves with her family to Vancouver Island, leaving behind her old life and best friend. In spite of the fact that not all of her new classmates offer her a warm welcome, Sarah soon makes a good friend, a native girl called Goldie. A white girl where most of the people are Indian, Sarah soon experiences prejudice and racism. Her escape is her loving home, her friendship with Goldie, and her love for the killer whales that inhabit the island waters. From Goldie’s grandmother she learns many legends and Indian myths about these magnificent, intelligent mammals. Then disaster strikes and all that Sarah holds dear is snatched away, leaving her enveloped in a dark vortex of confusion and loneliness. As her life abruptly changes, the issue of racism is replaced by a much more controversial one. Does the end justify the means? Does love justify breaking the law? The story is told in the first person by Sarah herself; the reader is drawn into an immediate intimate rapport with the young protagonist. The language, in its simplicity, heightens the strong moral conflicts which carry the plot. In spite of the family drama, no silly sentimentalism mars the prose, and Sarah possesses a strong voice that is both honest and devoid of embellishments. The author has managed to create a sense of serenity and beauty that has to do with the mythical setting and the ‘parallel’ presence of the killer whales and wolves. A sad yet uplifting novel, Whale Song is about the fear and innocence of a young girl and about coming to terms with the shocking and painful truth one often must face. Above all, it is a novel about forgiveness and forgiving oneself.